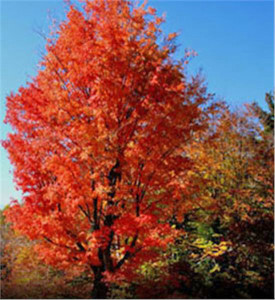 A red maple is one of the trees you can get with a $10 dollar donation to the Arbor Day Foundation. National Arbor Day is Friday, April 28, this year, and the Arbor Day Foundation is making it easy for anyone to celebrate the annual tree-planting holiday. Join the Foundation in April and receive 10 free shade trees. To become a member of the Foundation and receive the free trees, send a $10 contribution to TEN FREE SHADE TREES, Arbor Day Foundation, 100 Arbor Avenue, Nebraska City, NE 68410, by April 30, 2017, or visit arborday.org/april.